First cut a 5" x 10 1/4" piece of white card stock and fold it in half for the base, a 4 3/4" 4 3/4" piece of red for the middle layer, a 4 1/2" x 4 1/2" piece of white for the front, a 2 1/2" x 3" piece of red for the image's first layer, a 2 1/4" x 2 3/4" piece of black for the image's middle layer and a 2" x 2 1/2" piece of white for the image. 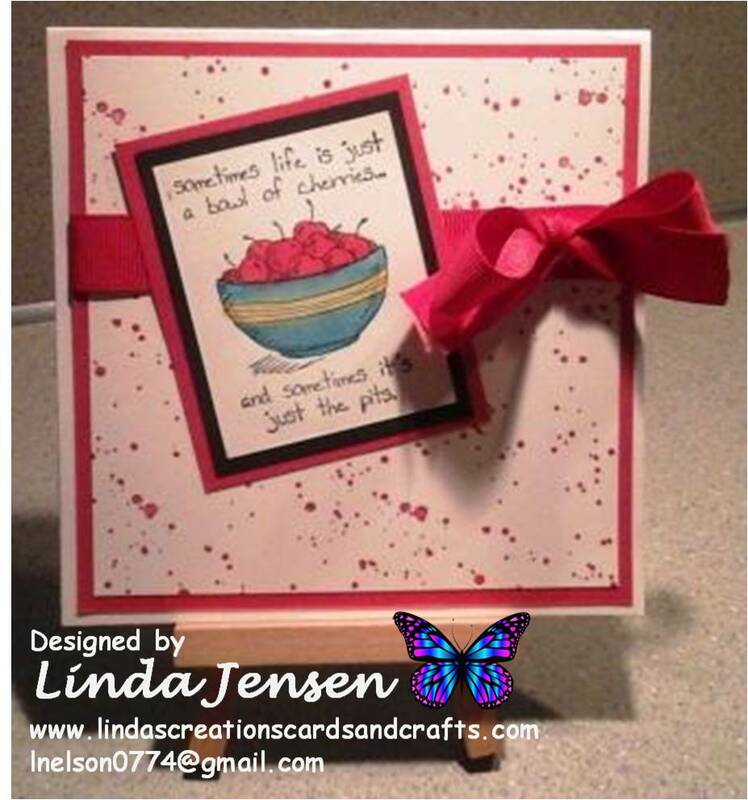 Next randomly stamp the background with a stamp from the Stampin' Up! Gorgeous Grunge set in Stampin' Up! Real Red ink and set it aside. Then using a Stamp a ma jig, stamp the image on the 2" x 2 1/2" piece of white card stock with Stazon Jet Black ink and color it with an aqua painter or blender pen and Real Red, Tempting Turquoise and Daffodil Delight inks. Then attach the image to it's black middle layer then to it's red first layer. Next attach the background to the red middle layer, tie the ribbon around both layers, then attach them to the white base. Finally attach the image and enjoy!